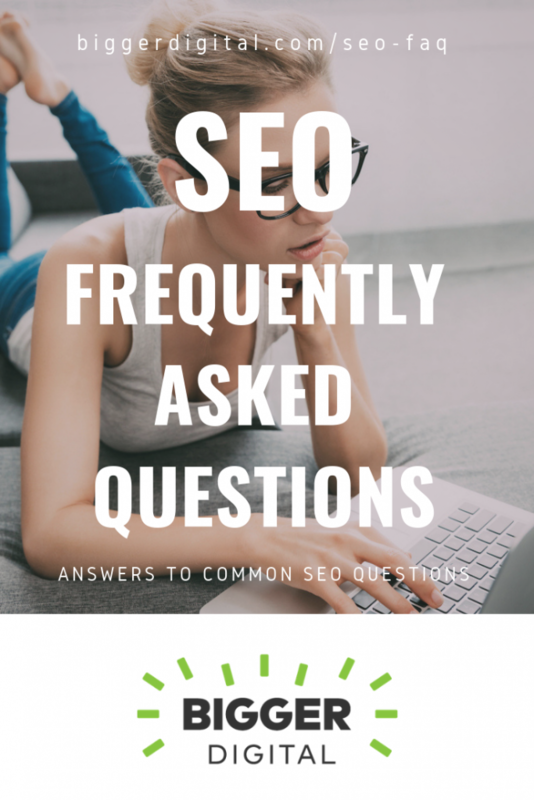 If you are a newcomer to SEO, you probably have a lot of questions about this topic. Getting started with SEO can be overwhelming. This marketing activity intersects with so many parts of a typical Internet business. In this article I answer all the questions that anyone could have about search engine optimization. You will feel much more confident and ready to dive in deeper after you absorb these questions and answers. SEO is an acronym for search engine optimization. That’s it. Simple right? SEO or search engine optimization is the process of increasing the visibility of your website (or blog) in the organic search engine listings. These are the unpaid, non-sponsored listings. They are earned through hard and persistent work. SEO is an important digital marketing activity that delivers free traffic to your website. There are thousands of search engine ranking factors or signals that Google uses to rank your website in the organic search results. To rank high (page 1) you must satisfy these search engine ranking factors. Not all ranking factors are equal. Some are critical and some are no longer that important. The secret to search engine optimization success and generating massive volumes of organic search traffic is to satisfy the ranking factors that count the most. SEO tools help you do keyword research, competitive research, link building, track your rankings and success, and conduct an SEO audit (on-page SEO and technical SEO) of your website. The most popular SEO tool is SEMRUSH. This is my SEO tool of choice. It is awesome. Ahrefs is another popular SEO tool. Invest in a keyword research tool. As I have mentioned, I use SEMRUSH. The SEMRUSH Keyword Magic Tool is amazing. You can create your entire SEO content plan in minutes to hours. This used to take days or weeks! Once you have a tool simply type in your primary topics. These are called seed keywords. The keyword research tool will then provide you all the different combinations of search queries that include your seed keyword. Next, apply filters to find the best keywords to use in your content. The best keywords are those that will drive the most relevant traffic to your website. These may be searched less often than the most obvious high volume keywords. However, they could produce better engagement results like higher conversion rates or visit duration. They are almost always less competitive to rank. That’s a plus. Most people think the best keywords are those that are searched most often. This is usually false. Keywords that are searched in high volume are called head keywords. They are keywords that are comprised of 1-2 words. For example, SEO. Or SEO strategy. This type of keyword is not ideal because they are very competitive (to rank for), broad in meaning (not showing much intent), and have low conversion rates. Take them if you can get them. But I would not recommend targeting them first. The best keywords are long tail keywords and body keywords. Long tail keywords (4+ word keyword phrases) have lower search volumes and are easiest to rank on page 1 of Google. They are very specific. Often people that search long tail keywords will engage with your content longer. This will improve your rankings. It is a signal (to Google RankBrain) that the content is of value. Also, people that search long tail keywords are most often closer to a buying decision. This is good for e-commerce sites. Higher conversion rates. Body keywords (2-3 word keyword phrases) fall somewhere in between head keywords and long tail keywords. They are good because they demonstrate some true search intent, are higher in search volume and are not the most competitive search terms. There are many different ways to find keywords. Here are a few of my favorite methods. 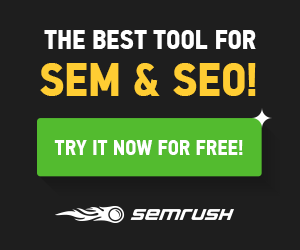 Do keyword research with a tool like SEMRUSH. Search Google and observe the automatic search suggestions. Use the Google Chrome extension Keywords Everywhere. When you use Google take note of what appears in People Also Ask and Searches Related To sections of the organic search results. Analyze your Google Analytics and Google Search Console reports. 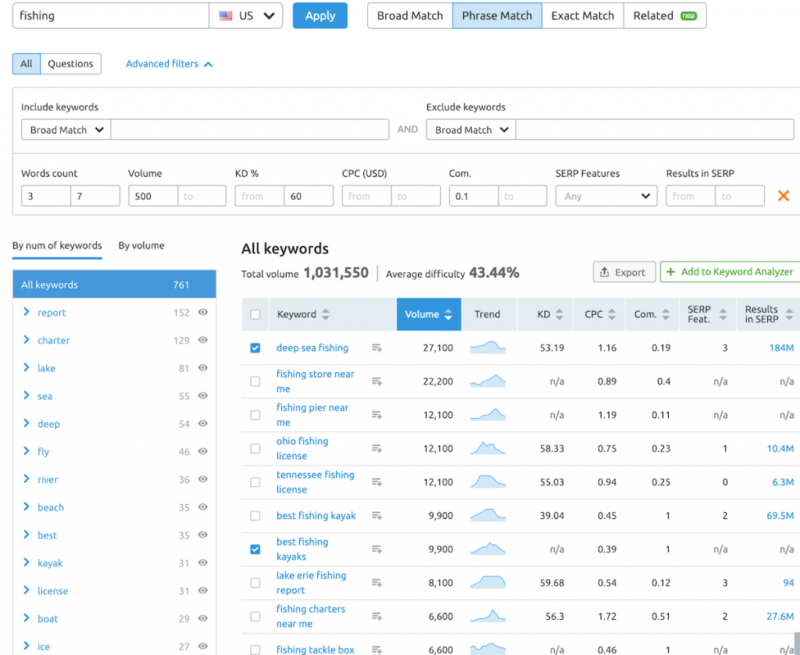 When I do keyword research with SEMRUSH, I filter the master list for the best options. I want to find keywords that are 3-7 words in length, have enough search volume (500+ searches/month), a lower keyword difficulty score (under 60), and some competitive density between advertisers (will trigger more valuable ads on my site -> 0.1+). You may also want to look at specific SERP features like featured snippets to increase your organic search traffic. You can always improve SEO. Be sure to do that. First, think through a complete SEO strategy. Focus on the most critical SEO tactics or tasks. Be thorough and consistent. This is most important. Experiment with new search engine optimization tactics and strategies. Analyze and measure the results of your efforts using Google Analytics (GA) and Google Search Console (GSC). Be sure to invest in a keyword research tool and SEO audit tool such as SEMRUSH or ahrefs. I prefer SEMRUSH. When I compared the data to what was in GA and GSC, SEMRUSH appeared more accurate. SEMRUSH does everything I need. It is the most important tool that I use every single day. It is the business expense that delivers the highest return on investment. SEO writing or SEO copywriting is essentially being aware of and using keyword phrases and language that your audience uses to find what they want from Google Search. However, be sure to write in a natural and engaging voice and in a logical flow. Avoid overusing keywords (keyword stuffing). I recommend using keywords to structure your content. There are a number of ways to find keywords to use for SEO writing. Using a keyword research tool is the most common method to understand how your audience searches for your content, products or services. First, understand that blogging is the same thing as writing. If you are an e-commerce company you must write in-depth articles about topics that are relevant to your business. The more quality and complete content that you create the more organic search traffic you will get. It is also important to write about a wide range of relevant topics. In other words, avoid writing about the same thing over and over again. What Is An SEO Specialist / Consultant? SEO specialists and consultants are experts at implementing search engine optimization. I have been an SEO expert for 20 years. It has been an incredible career to pursue. An SEO company is a business (firm or agency) that will do the search engine optimization work for you. SEO services offered typically include: keyword research, SEO writing, content marketing, on-page SEO, technical SEO, WordPress SEO, and link building. DIY SEO costs you your time and the business expense of your SEO tools. Hiring a qualified and experienced expert or agency to do your search engine optimization work is expensive. Some SEO companies charge by the hour ($100-400/hour) and some by the project. Avoid SEO companies that promise everything for a low cost. It doesn’t exist. They are scammers. The SEO title is really the same thing as a title tag. It is a label in WordPress if you are using the Yoast SEO plugin and it will create your title tag. It is one of the most important SEO success factors. Be sure to create excellent and unique SEO titles for every single page on your website. Local SEO is a way to market your local or physical business. Claim, optimize and mange your Google My Business presence to implement local SEO. When people search Google and other search engines for products and services that are relevant to your business you will appear in the local search results and on Google Maps. Nailing WordPress SEO is important. Implement on-page SEO for all your WordPress pages. 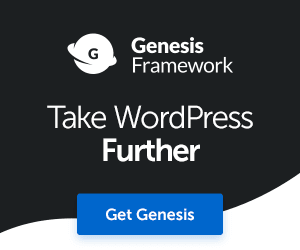 Get a quality WordPress theme. 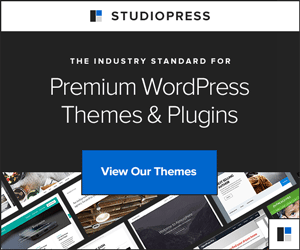 I only use and recommend Studiopress WordPress themes. 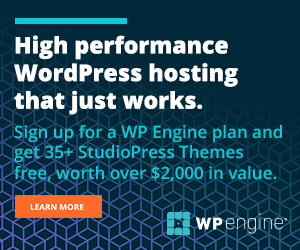 WordPress can be slow. Get a powerful server and use a content delivery network (CDN) to deliver your content at lightning speeds. Install the most recent PHP version possible on your server. Install and setup the Yoast SEO plugin. How Do You Use Yoast SEO Plugin? The Yoast SEO plugin is an essential WordPress plugin. Aim for green Yoast SEO scores before you publish any content. Use it to create killer SEO titles and meta descriptions using the snippet preview for all your pages. You will find that at the bottom when you are writing or editing any page. Evaluate the readability of your articles. Leverage the tool for advanced SEO and technical implementation tasks such as noindex (if required), nofollow links, and setting canonical URLs. Black hat SEO refers to the practice of manipulating search engines in an unethical manner. It is not recommended to do so. White hat SEO refers to the practice of implementing SEO according to the terms and conditions of Google Search in an ethical manner. To gain traction in organic search with a brand new website, it typically takes 6-12 months to see results and an increase in organic search traffic. If this is you, be persistent. Don’t give up. Work hard for at least a year no matter what results you see. After a year you should start to see growth. If your website is established and in good standing, implementing an excellent SEO strategy should generate immediate results. For example if your site has been indexed for years but you have never done SEO, putting SEO into action can result in tremendous growth overnight. As I mentioned earlier, I like to use keywords to structure my content. And, I use keywords to organize my site architecture in a logical way. Implementing an SSL certificate (creating an HTTPS site) isn’t necessarily a strong ranking factor. But it can impact your search engine optimization results in other ways. Primarily first impressions. If you do not convert your site to HTTPS your site visitors will see a Not Secure label in their web browser. Scary! That obvious Not Secure label could increase your bounce rate. High bounce rates are not good for SEO. You want to achieve the opposite. Specifically, you want to increase dwell time (visit duration) and pages viewed per visit. However, I don’t pursue link building. Why? Keep reading. Examining inbound links has been a way that Google Search evaluates the reputation and quality of a website. The idea is that a large volume of quality links from reputable websites indicate a quality piece of content. Why else would a reputable site link to it? If you ask me, the best method to acquire quality links is to create quality content. High-quality websites do not rely on link building outreach. They just naturally acquire the links that give their site a boost. How Important Is The URL For SEO? It is one of the more important SEO success factors. Use short URLs with descriptive text and keywords. Anchor text are the words used in either an offsite or onsite (internal) text link. If you link to another page use descriptive text about the destination page. We just talked about URLs and anchor text. These are two pieces of on-page SEO. Technical SEO is becoming more and more important. It is often ignored. That’s not good. Can I Learn SEO On My Own? Definitely. I have been teaching myself search engine optimization since 1999. The easiest way is to read articles from reputable SEO blogs. You can also take an online SEO course.